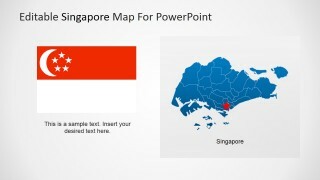 Editable Singapore PowerPoint Map is a professional presentation with several political outline maps of the Republic of Singapore. 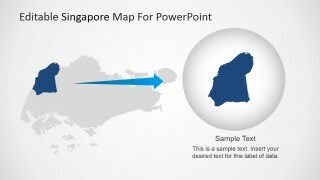 Each slide provides 100% editable PowerPoint Shapes that compose the Singapore Map states. 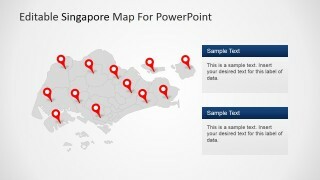 Professional Icons decorates the map for useful marking. 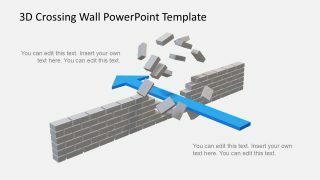 The clipart icons can be edited by the user and used in existing presentations. 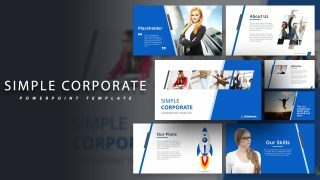 The flexibility of this template allows the user to utilize the maps and its components in different presentations, and edit their appearance according to the required theme. 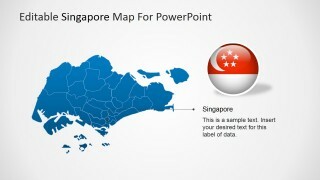 The Republic of Singapore is an island state, located in the South East of Asia. 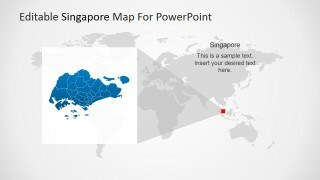 At the North lays the Malaysian Peninsula, separated by the straits of Johor and at the South lays Indonesia separated by the Singapore strait. 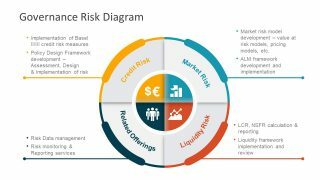 Singapore is well known for being one of the major commercial hubs in the world, with a highly mature financial industry and one of the most busiest ports. 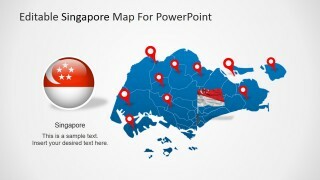 For its fast developing economy, Singapore is known as one of the Four Asian Tigers, group which joins with Hong Kong, South Korea and Taiwan. 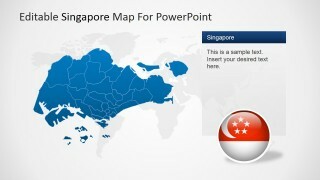 Create impressive Geography, Economy, or Truisms presentations with this modern and flexible Editable Singapore PowerPoint Map. 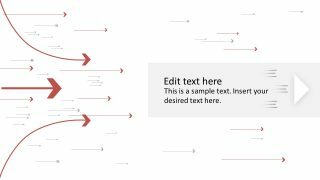 Engage your audience with professional graphics that appeal to global audiences.